RYPTYDE returns to Tir Na Nog in Cherry Hill on Friday, May 10. Mark your calendars and prepare to be thoroughly entertained with a selection of popular music that everyone loves at South Jersey's premier Irish pub. See you there! 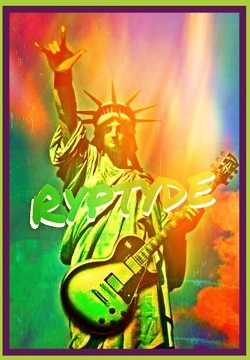 RYPTYDE is a top South Jersey cover band playing the best of Rock and Roll from the 50's thru present day. Our band has been entertaining music fans at area pubs, clubs, and parties in the Delaware Valley for over 10 years. Show dates are currently available for all of 2019. Contact us and book our show for a night of Rock and Roll that your friends and patrons will long remember. Experience Rock and Roll entertainment - The way it ought to be! Want to rock the house with us? Follow RYPTYDE and enjoy the music and fun times at our shows. Our band plays several South Jersey venues each year. Check our schedule and come out to party with us. Sign up on our e-mailing list and receive show schedule reminders and other information on the band's activities. We're also on Facebook and Twitter, so just click below to connect!